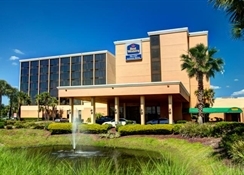 With a free shuttle service to some of the biggest attractions in the area, the Best Western Orlando Gateway Hotel is close to Universal Studios and SeaWorld and is also in a good location to get to the Disney theme parks too. 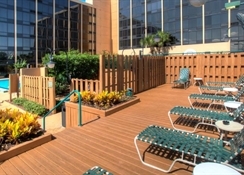 The hotel has a range of on-site amenities including dining options, outdoor pool, hot tubs and rooms can sleep up to 4 guests. This family friendly accommodation is suited to adults with children as well as couples. 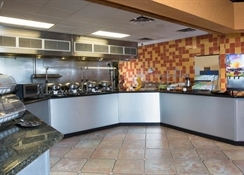 There are also a number of different food options in the local area and the Best Western Orlando Gateway Hotel is a suited for anyone who wants to be close to the main attractions and theme parks in the area. 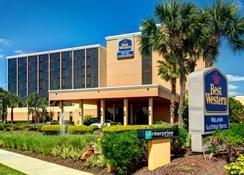 The Best Western Orlando Gateway Hotel is on Universal Boulevard and is just over a mile away from Universal Studios. SeaWorld is close by as it is only 3.4 miles from the property while you can also easily get to the Florida Mall (4.2 miles), Walt Disney World (7.7 miles) and Disney’s Hollywood Studios (9 miles). There is a free shuttle service from the hotel to many of the main attractions. Arnold Palmer’s Bay Hill Golf Course is 4 miles away and the Orlando International Airport is 9.6 miles from the resort. You can choose from six room types that can sleep up to four people. King Rooms have one large double bed while there are two Standard Room options (one poolside) that can sleep 4 people. King Suites have one extra-large double bed and sofa bed with the Deluxe Rooms have two double beds. There are also queen size disability accessible rooms too. 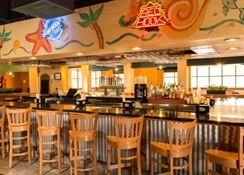 There is an on-site restaurant at the Best Western Orlando Gateway Hotel as well as Sharky and Jack’s Bar and Grille which is open from 5pm – 11pm and serves a range of drinks and snacks. 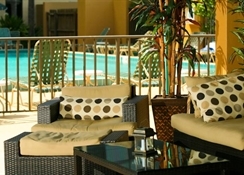 The Cabana Bar is poolside and is open on a seasonal basis. There is a range of other eateries in the surrounding area including a TGI Friday’s, Red Lobster, Yard House, and Chilli’s which are all within walking distance of the property. 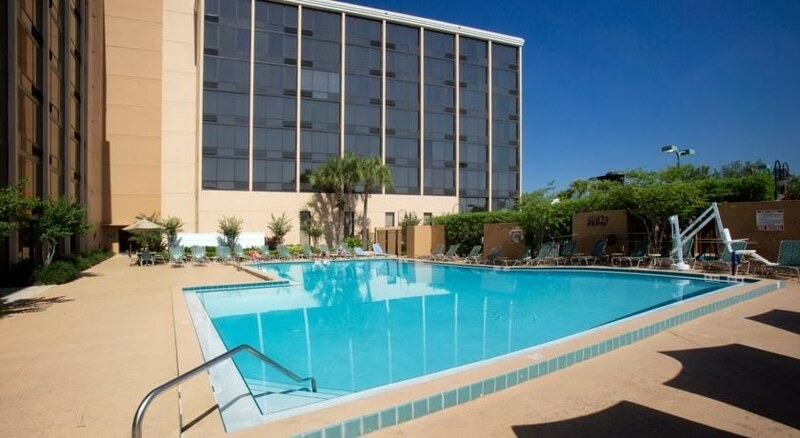 The Best Western Orlando Gateway Hotel provides an outdoor heated pool as well as 2 hot tubs. There is a fitness centre that is open 24 hours and within a mile of the hotel guests can find adventure golf, I-Drive Nascar and the Bayhill Plaza Shopping Centre. Cocktail lounge Sharky & Jack's Bar & Grille located in hotel lobby. Open daily from 5 p.m. – 11 p.m. Cocktails, beer and wine. Laundromat Guest Laundry Room in Hotel Lobby on first floor.